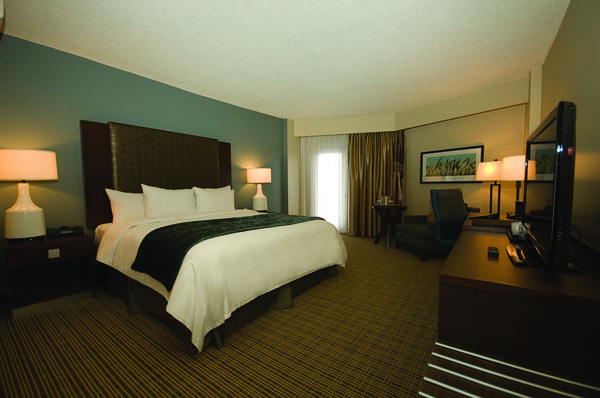 Regina, SK, August 15, 2013 – Reservations are now being accepted for the DoubleTree by Hilton Hotel and Conference Centre Regina, a 235-room hotel scheduled to open in fall 2013. Owned and managed by SilverBirch Hotels & Resorts, the hotel will be the first DoubleTree by Hilton in Regina and features a SilverBirch Conference Centre®. Pre-opening special rates will be available for groups of 10 or more starting at $139* per night plus applicable taxes and fees. DoubleTree by Hilton Hotel and Conference Centre Regina, formerly the Regina Inn Hotel and Conference Center, is located at 1975 Broad St. in the city’s downtown core. It features freshly renovated guestrooms boasting large and luxurious bedrooms with newly appointed showers and fixtures, Wild Sage Kitchen & Bar® – a new full-service restaurant with a vibrant bar, and fully renovated ballrooms and meeting rooms providing a beautiful backdrop to any function. And guests checking in will receive the signature DoubleTree by Hilton warm chocolate chip cookie welcome. DoubleTree by Hilton Hotel and Conference Centre Regina also features an innovative and inspiring SilverBirch Conference Centre® with six fully equipped boardrooms, providing the latest in conferencing technology and meeting amenities. For inquiries and more information about the DoubleTree by Hilton Hotel and Conference Centre Regina’s special pre-opening group rate, please contact Amanda Cisecki, Sales Manager at 306.382.3478 or by email at acisecki@silverbirchhotels.com. Please note the special group rate is starting from and based on availability. Offer valid for first 90 days of operation. *Sample daily rates featured are subject to availability for travel through March 31, 2014. Cancellation policy and/or blackout dates may apply. Unless otherwise stated, quoted rates are per room per night, based on [double] occupancy and do not include taxes, gratuities, incidental charges or resort fees (where applicable).